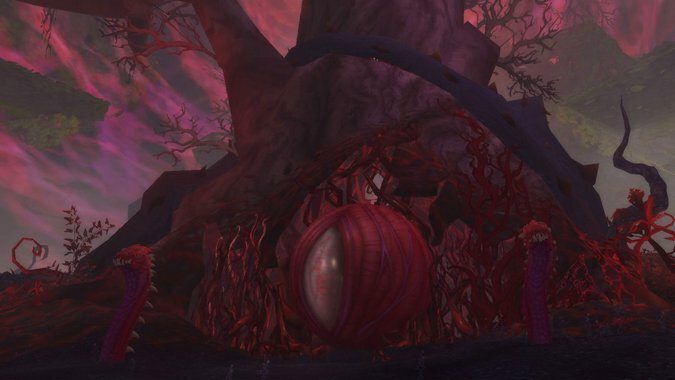 For an expansion about the rising threat of demonic hordes, Legion has spent a lot of time focusing on other dangers. Dangers like the corruption of the Emerald Dream, and strange whispers from agents of the Old Gods. Between ominous discussions with talking Artifact weapons and the horrors of the Emerald Nightmare, it’s become clear that we’ve got more than just the Burning Legion to worry about. But is the darkness that clings to our world something we can even defeat? Or have we already lost? The very reason that Sargeras is so focused on our world in particular is the same thing we’re spending so much of this expansion dealing with. 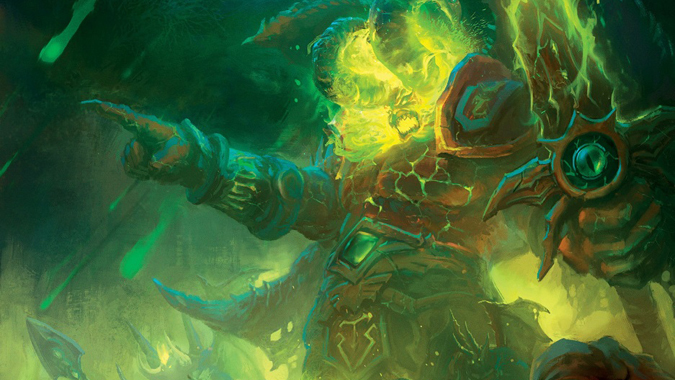 Sargeras fell from the Pantheon and started the Burning Legion because he saw the horrors of the Void. He witnessed what the Old Gods could do to a world-soul when left unchecked. Rather than let the corruption continue, he obliterated the corrupted world-soul, destroying the planet. It would be the first of many, as it turns out. And when Sargeras returned to the Pantheon and told them what he’d discovered, they were horrified. Maybe they didn’t see, as he could, what the Void was truly capable of. They insisted there were other ways to deal with these corrupted world-souls — ways that didn’t involve killing. Once Sargeras determined that the Pantheon would have nothing to do with the solution he’d decided upon…he left. In isolation, Sargeras contemplated the fate of the universe. Plagued with fear, doubt, and despair, he finally came to one logical conclusion: the only way to spare the universe from the Void Lords was to purge it of all life. Left with nothing to corrupt, the Void would presumably just…disappear, much like a fire denied fuel. 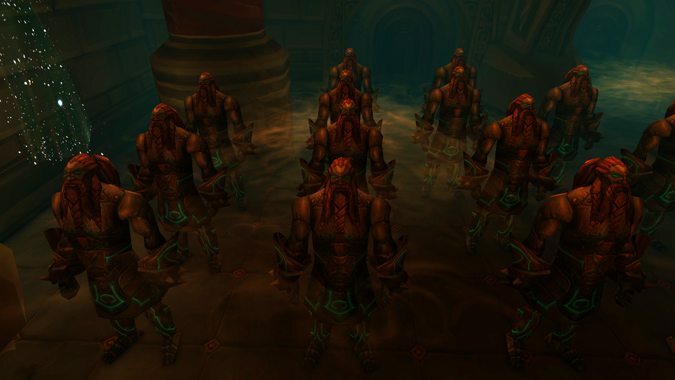 To accomplish this task, Sargeras released the demons he’d spent so long imprisoning, recruiting them into an army that would become the Burning Legion. Meanwhile, the Old Gods continued doing what they’d been doing all along — corrupting worlds. 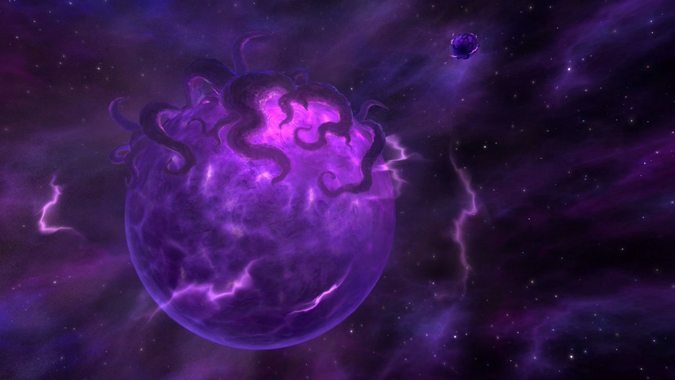 The Old Gods were tools, sent by the Void Lords to inhabit and corrupt planets that hopefully contained world-souls. If successful, they would create a creature of unfathomable darkness — a Dark Titan, one so powerful that even the Pantheon could not stand against it. Oddly enough, it turned out they didn’t need to worry about the Pantheon. Sargeras took care of that problem himself. While the Pantheon were busy with Azeroth, Sargeras was busy building his army. 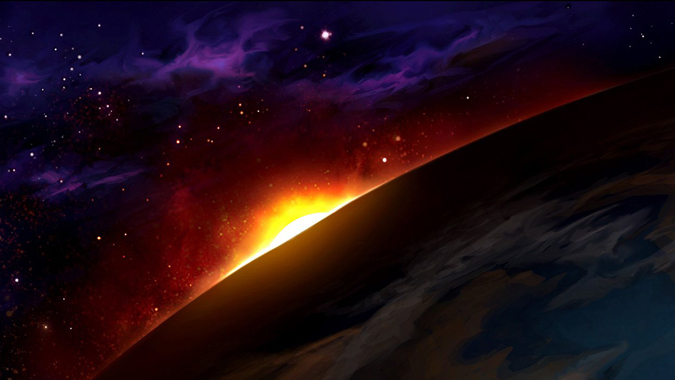 Aman’Thul eventually managed to find him, and told him of Azeroth’s world-soul — one so powerful that it would one day be able to challenge the Void Lords. But Sargeras was unmoved, and when further pushed, he lashed out. Sargeras killed the Pantheon — all of them. In a last, desperate action, Norgannon cast a spell that sent their spirits hurtling across the cosmos…to Azeroth. One tiny little world in a vast cosmos, one that now held not only the most powerful world-soul the Pantheon had ever seen, but the spirits of the Pantheon as well. And it also held a handful Old Gods, who were already working to free themselves from their prisons. In this aspect, it seems like Sargeras was right, wasn’t he? The Old Gods couldn’t be killed, and as it turns out, it doesn’t look like imprisonment is an effective solution, either. Over the span of centuries, the Old Gods began the long task of breaking free of their prisons — and slowly affecting the world around them as a result. They were responsible for the slow corruption of Nozdormu, eventually resulted in the dawn of the Infinite Dragonflight on some fractured path of history. They were responsible for the birth of the Emerald Nightmare, an insidious plague that wreaked havoc within the supposed safe haven of the Emerald Dream. 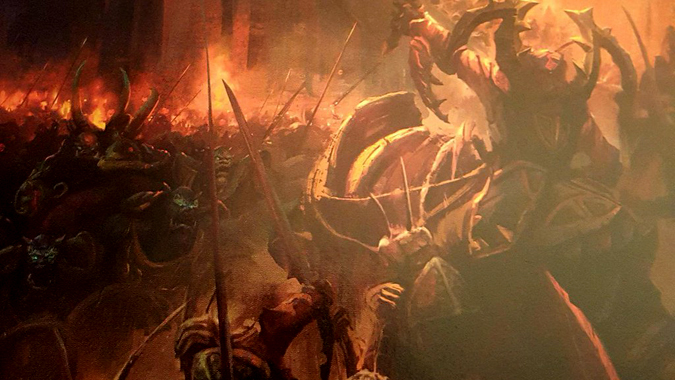 And they were responsible for the corruption of Neltharion, driving him to a madness that saw him turning on his own kind during the War of the Ancients. All of these things — and more — were accomplished without actually breaking free. Yogg Saron managed to open a way into the Emerald Dream for N’Zoth, without ever supposedly leaving Ulduar. The reach of the Old Gods extended far, far beyond their prisons — and they managed to touch and warp pretty much every living thing on Azeroth. Imprisoned in Ulduar, Yogg Saron sensed a disturbance in the Titan-created keepers that were in charge of guarding his prison. This was the spirits of the Pantheon, inhabiting those same keepers once they arrived on Azeroth. 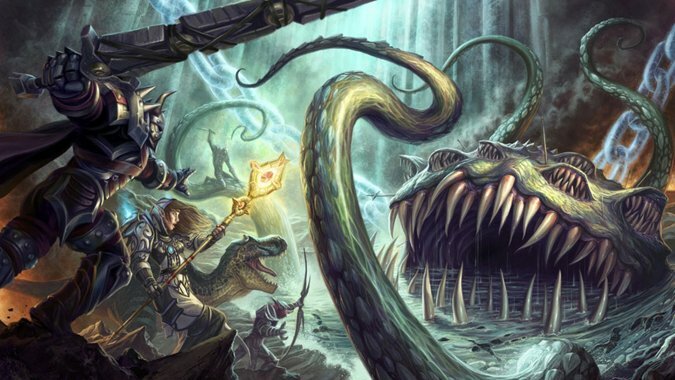 Because of the temporary distraction caused by this event, Yogg Saron was able to weaken his prison and eventually escape. But he also introduced a new component into the Forge of Wills – the Curse of Flesh. This “curse” essentially altered the components that made up the Titan’s creations, turning them from creatures of metal and stone to mortal creatures of flesh. Humans, Gnomes, Dwarves – the entire reason they exist in their current state is because of the Curse of Flesh. Supposedly, this was to “facilitate assimilation.” But that explanation was given by the Tribunal of Ages – and as we now know, the Tribunal was altered by Loken to cover up his crimes. In other words, we don’t know if the Curse was actually put in place to do what the Tribunal suggested. What we do know is that the Curse is, in fact, reversible. The mogu managed to figure it out by themselves. The tol’vir essentially allied with Deathwing because he promised to restore their stone forms – ridding them of the Curse of Flesh. And since Deathwing was an agent of the Old Gods, one begins to wonder…why would the Old Gods be fine with a reversal of this process? Why would they allow that to be used as a bargaining chip, if it was so vital to the corruption of Azeroth? According to Il’gynoth in the Emerald Nightmare, we aren’t dealing with a curse at all. “Flesh is his gift. He is your true creator.” And in a way, Il’gynoth is absolutely right. Humans, Worgen, Gnomes, Dwarves, Forsaken – none of these races would have ever come into existence were it not for the direct influence of the Curse of Flesh. In a strange way, Yogg Saron gifted us with our existence. The Old God made us what we are today. One could look at that as a horrifying thing, or one could go back to those incidents with the mogu and the tol’vir. Obviously the Curse of Flesh isn’t a permanent thing, not in the way that the Old Gods are. And what we’ve managed to do – despite the Curse of Flesh – has been nothing short of astonishing to the creations of the Titans. We haven’t willingly become puppets of the Old Gods, we’re still fighting them every step of the way. But the Curse isn’t the only thing that affects our world. If we want to look more closely, all of the elven races are affected by their own form of evolution as well. The Dark Trolls underwent a transformation by the shores of the Well of Eternity, and it changed them forever. In a way, it almost feels like the Curse of Flesh and the effects of the Well of Eternity are two sides of the same coin. But that only makes sense, doesn’t it? Because the universe itself is two sides of the same coin – Light and Void. In the beginning, Light was all there was – a shifting ocean of living energy, full of positive emotion like hope, courage, compassion, tenacity – and that was it. But in that vast ocean, some of those energies began to fade, and the Void was created. Where Light promoted positive emotion, Void did the opposite – it was where fear, despair, doubt, and hatred dwelled. The two clashed, and the explosions from that confrontation gave birth to the physical universe. From that primordial matter, the Titans eventually emerged. Let’s go back to Sargeras, in isolation, contemplating the nature of the universe. As he sat alone, he was plagued with fear, doubt, and despair. It’s odd, isn’t it, that a creature like Sargeras – supposedly one of those bastions of order – would so easily fall to emotions usually associated with the Void? Well…no, actually. Because the universe itself is essentially the byproduct of that clash between Void and Light. In our own way, we are reflections of what brought the universe into existence to begin with. Creatures that have been evolved, affected, or simply changed by either the Void, or the Light. 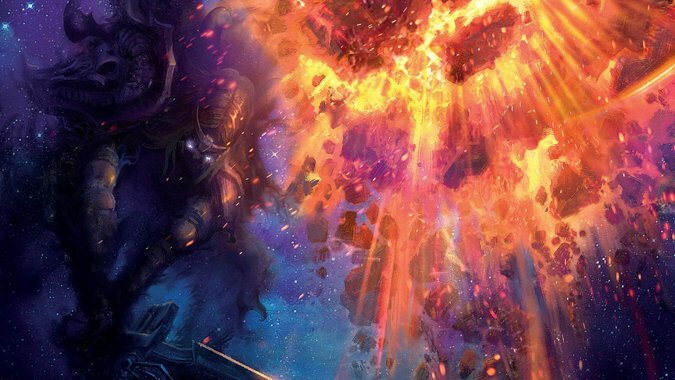 Azeroth is unique in the universe, we know this – but is it because it has the most powerful world-soul the Titans ever discovered? I don’t think so. I think it’s because of the unique nature of those that dwell on Azeroth’s surface. We have been touched, evolved, moved and called to actions far beyond the scope of mortal life. And unlike anywhere else, we’re capable of handling all of it. We’ve fought Old Gods and won. We’ve fought the forces of the Burning Legion and won. Our studies have allowed us to master arcane, holy, shadow, nature, necromancy, and even fel energies. We’ve mastered the building blocks of the universe. We stand in the center of that cosmic map and we’ve been touched by everything it has to offer. And even that supposed “curse” of the Old Gods has done nothing but help us excel. It wasn’t a curse, necessarily – it was almost an inoculation of sorts, one that helped us fight back. As Algalon once said in Ulduar, “Perhaps it is your imperfections…that which grants you free will…that allows you to persevere against all cosmically calculated odds. You prevail where the Titan’s own perfect creations have failed.” Free will is the key, here – we don’t just fight blindly. We fight against the things we view as inherently wrong, and we fight for what we believe is inherently right. We aren’t pawns, we aren’t tools, we stand alone – and in that, we are unique. We’re special. Whether or not the rest of the universe will be able to handle us…well, that remains to be seen.